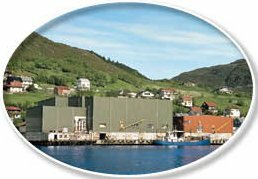 Norbait DA is located in Raudeberg on the West Coast of Norway. The company is owned 50/50 by Mustad and Domstein. Norbait DA is world leader in production of restructured bait. Norbait™ is the registered Trademark of Norbait DA. Experienced autoline captains estimate they use at least 15% less bait when using Norbaitä and yet they deliver an average of 20% more baited hooks to the target.